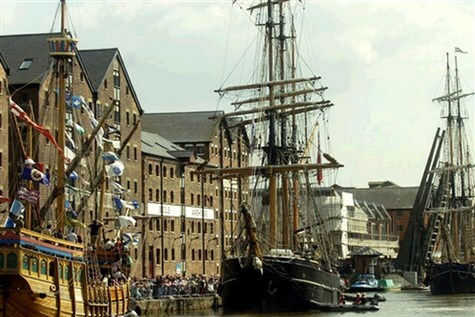 Five tall ships will sail into the docks and moor up on the quayside for visitors to see. There will be a raft of entertainment featuring marauding pirates, nautical activities, fun games for children and adults, a food market plus two museums on the dock site. There are live music stages as well as the return of the essential Gloucester Shanty Festival.